Kolos Hotel is located in the center of Zvenigorodka. The hotel is located on the third and fourth floors of a four-storey building and offers its clients rooms of categories "Economy" (conveniences on the floor), "Standard", "Suite" and "Studio". All rooms have a TV with cable channels. The Studio has its own kitchenette. Catering for customers is organized in the cafe "Step'Ok", where they prepare home-cooked meals. In the lobby and in the hotel cafe, access to the Internet (WI-FI) is provided. In 17 km from the hotel there is a ski resort "Vodianiki". 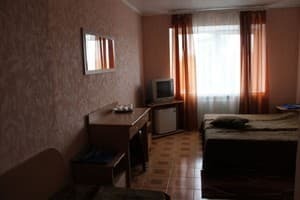 Distance from the hotel "Kolos" to Cherkasy is 110 km away. Description of the room: The room has two twin beds. Common bathroom on the floor. Description of the room: Room with twin beds. In the room there is a toilet and a washbasin. 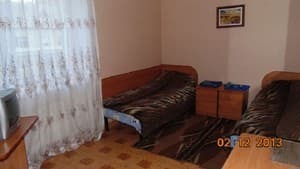 Description of the room: Room is equipped with three beds. Common bathroom on the floor. 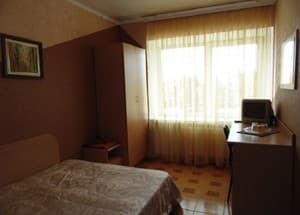 Description of the room: The room has two single beds. A bathroom in the room. Description of the room: In the room there is a double bed. A bathroom in the room. Description of the room: A bathroom in the room. 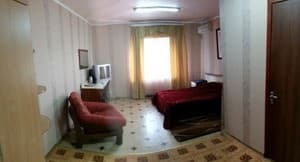 Description of the room: Two-room suite with a large bed and a sofa. A bathroom in the room. Description of the room: Two-room suite with kitchen. A bathroom in the room. Catering for customers is organized in the cafe "Step'Ok", where they prepare home-cooked meals. 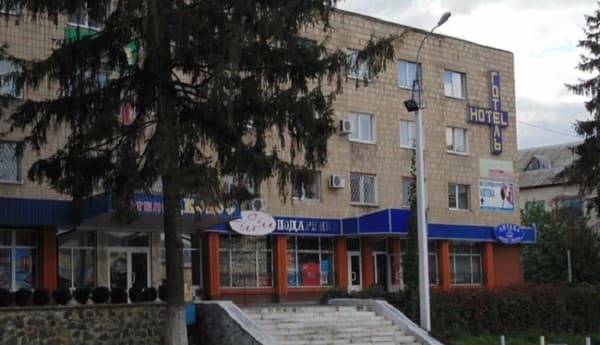 Kolos Hotel is located in the center of Zvenigorodka. In 17 km from the hotel there is a ski resort "Vodianiki". The distance to the city of Cherkassy is 110 km. From Cherkassy on the highway N16. The hotel is located in the city center.